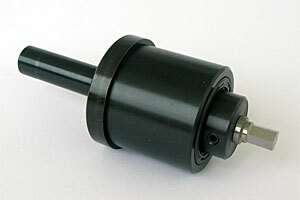 Rotary Broaching, also known as wobble broaching, is a fast and accurate method for producing internal and external forms in the end of the work piece. The broaching tool holder can be used on any CNC lathe, manual lathe, multi-spindle lathe, milling or drilling machine. The Broacher can produce Hexagonal, Square and Torx Shaped Holes.